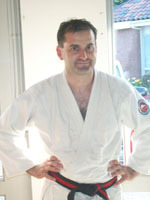 Yves Boudreau Sensei has the IYBF rank of black belt, 3rd dan. 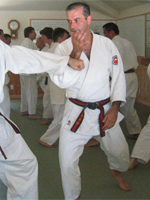 He began at the Aikido Club of the University of Ottawa in 1982 with Kaoru Sugiyama Sensei. He later joined the Academy of Martial Arts Yoseikan in Ottawa with Patrick Augé Sensei and David Gregg Sensei. In october 1996, he moved to North Carolina to pursue a career as an orthopaedic surgeon and began teaching Aikido at the Cleveland County YMCA in april 1997. Yves Boudreau Sensei regularly visits the dojo of Patrick Augé Sensei in California. He now teaches at the North Carolina Yoseikan Budo.